If your credit isn’t perfect but you want to buy a car without spending a day at your local dealership haggling, where do you go? One option is Carvana, an online used car dealership that also offers financing on the cars it sells. Think of Carvana as the place to go when you want to click a few buttons online and buy a car that has passed a thorough inspection process and comes with a 7-day money-back guarantee. You can browse among thousands of used cars and even receive a $200 credit that you can count towards flights or travel if you need to pick up a car in another city. Best of all, you can sidestep the hidden fees which are infamous in a traditional buying experience at a local dealership. 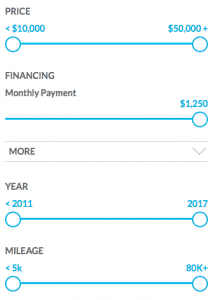 When you buy a car from Carvana, you won’t be hit with pesky hidden charges that on average amount to over $400 according to Edmunds.com. Carvana claims it can save buyers on average $2,199 compared to purchasing at a dealership. But does it stack up when you factor in all the other aspects of buying a car? Carvana has an extensive inventory of used cars that have passed an exhaustive certification process, and can be purchased haggle-free. Plus, they come with a 7-day test own guarantee. When you buy a used car online with Carvana, the entire purchasing process from start to finish is refreshingly simple, especially when compared to the alternative of trekking down to your local dealership for a day of haggling and getting badgered by sales reps. If you enjoy bargaining, you might be better suited visiting your local dealership to haggle over pricing and perhaps you will come away with a better deal. But for most car buyers who shudder at the thought of haggling with a professional dealer who has more than a few tricks up their sleeves to ding you on price and fees, the no-haggle policy at Carvana will be a relief. The listed price for a car is the price you pay. And while that price should be fair, it is worth double checking on Edmunds or Kelley Blue Book that you are not overpaying. You don’t have to meet lofty credit score thresholds to be eligible to purchase a car and your credit score won’t take a hit either because only a “soft credit check” is conducted. Carvana caters to a broad range of customers, even those who are subprime, and has a minimum income requirement on buyers of $10,000 annually. Each of the thousands of cars available via Carvana are assessed as part of a 150-point certification process to ensure they are in good condition. Carvana claims that no cars in its inventory have been in accidents. And all information relating to imperfections or safety recalls is disclosed to you. When you purchase a car, it will be delivered to you or if you need to pick up a car from a far away destination, you will be provided a travel credit of up to $200 to count towards your airfare. Once you purchase a car, you have 7 days to test it out, so if you find something is awry you can return it with no qualms. Provided you are at least 18, making at least $10,000 annually, and have a FICO Score above 300, you are eligible to apply for financing through Carvana. If you are already pre-approved for a loan elsewhere from a bank or a credit union, you can still make a purchase. During our Carvana review, we found 7,119 cars available for purchase with prices ranging from $6,500 to $50,000+. You can specify the most you are willing to pay monthly as well as the price range, mileage, and model year. If you have excellent credit, your APR may come in just under 4% from our checks and rise as high as almost 14% if your credit is poor. To give you ballpark figures of what this would mean. A buyer with poor credit would probably pay just over $50 more each month than a buyer with excellent credit assuming a purchase price of approximately $15,000 with 20% down payment. The default monthly payment figures are based on 72-month (6 year) auto loans. A general rule of thumb is to limit the amount you borrow when paying for a depreciating asset, such as a car. If possible, keep the term length as short as possible and try not to exceed a 3 year loan duration period, otherwise the sum of your interest charges could be quite hefty. You may want to compare other auto lenders to see if you can get better rates, especially if the quoted rate is approaching or exceeding double-digit percentage levels. Another option is to squirrel away a few nuts each month so you can build up a higher cash down payment or even pay fully in cash. Carvana delivers your car fee unless you live outside a local market and charges no hidden fees. However, if you return your vehicle you may be responsible for mileage and delivery fees. When you purchase a car through Carvana, no delivery fees are charged unless you live outside a local market. However, if you return the car within the 7-day guarantee window, you may be hit with delivery fees. If you take ownership of a vehicle and then return it you will also be charged with mileage fees before you can return your trade-in. No hidden fees are charged so the price you see is the price you get. The price you pay for the vehicle will be the sticker price plus local taxes, title and registration fees based on your zip code. You can purchase a car quickly, haggle-free, and without worry of hidden fees while enjoying the comfort of knowing it has undergone a thorough inspection report and comes with a money-back guarantee. However, be wary of taking on too much debt and committing to a long loan duration which may cause interest payments over time to add up. ✅ Haggle-Free Purchase: Experienced negotiators may consider this a negative but most other car buyers will be relieved to know that no negotiation is needed when purchasing a used car with Carvana. ❌ Low Credit Buyers: Most financial advisors contend that borrowing to pay for a car is not a smart financial decision, and generally they are right, which is a ding against Carvana. But for those with poor credit in urgent need of wheels, Carvana solves an immediate problem. ✅ Online Car Purchase: You don’t have to walk down to a local dealership to purchase a car. The entire shopping experience from start to finish can be done online. ❌ CFPB Fine: The Consumer Financial Protection Bureau fined Carvana’s financing partner, DT Acceptance Corporation, $8 million in 2014 for debt collection practices. ✅ 7-Day Money Back Guarantee: Your local dealership is unlikely to offer you a money back guarantee after you drive your purchased car off the lot but Carvana does give you a full week to change your mind. ✅ 100-day Limited Warranty: Each car is certified via a 150-point inspection list and comes with a 100-day limited warranty. ✅ No Hidden Fees: According to Carvana, you will save over $400 by avoiding hidden fees which are common when buying directly at dealerships. ✅ Flexible Financing: If you simply wish to purchase a used car from Carvana but prefer to use your own financing option, or pay in cash, you can do so and are not obligated to use financing from Carvana. ✅ $200 Travel Credit: If you need to fly to pick up your car, a $200 travel credit towards airfare is provided. ✅ Fast Funding Timeline: Within 24 hours of uploading documentation, an underwriter will typically call you so you can purchase your car quickly. If you were to listen to Rich Dad Poor Dad: What the Rich Teach Their Kids About Money That the Poor and Middle Class Do Not! author Robert Kiyosaki, you would know that taking out a loan to pay for a car is generally a no-no. Why pay interest on an asset that depreciates over time? That is good financial advice in general but if you don’t have the cash to pay for a car outright yet need the wheels, you may have little choice. Carvana comes in useful by providing a one-stop shop marketplace where you can find and finance a used car. But you don’t need to take out a loan at Carvana to shop around. You can pay in cash or get financing from other sources, such as a local credit union. With your financing in place, you can enjoy a no-haggle purchase at Carvana because listed prices are final and non-negotiable. Plus, you get a 100-day limited warranty and a 7-day money back guarantee after you buy your car. The usual nuisances of buying a car are removed at Carvana. You don’t have to make a trip to a local dealership but instead can purchase your used car 100% online and have it delivered to your home free of charge. And you won’t get dinged with hidden fees which are so common when purchasing a car more traditionally. 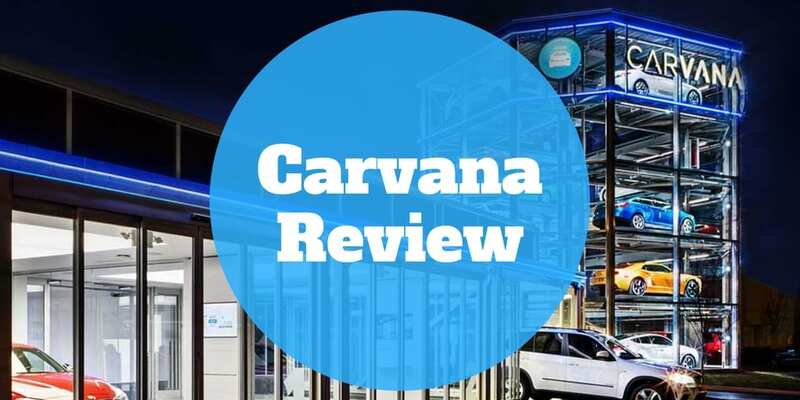 Carvana does open its doors to buyers of almost every level of creditworthiness so where possible strive to shorten the loan term to avoid hefty interest charges over time. The bottom line is if you are on the hunt for a used car and want a hassle-free shopping experience, Carvana deserves your consideration.